Looking for alternatives to Solarwinds Database Performance Analyzer? Tons of people want Application Performance Monitoring (APM) software. What's difficult is finding out whether or not the software you choose is right for you. "Using Microsoft System Center has made my work life a lot more easier and organized. Love it! : What I like the best of the system is the reliable and user friendly interface. Whatever I may need, I can easily search and find. The support system is also great to get my questions answered in a matter of minutes. I also like that all my programs are in one place and I can switch back and forth between them. I also love how they have their own work friendly version of Facebook called Yammers. I can easily stay connected with my coworkers and see what they are up to in a safe work environment. " SolarWinds Server & Application Monitor provides deep visibility into health, availability and performance of over 200 enterprise applications and multi-vendor servers out of the box. Proactively monitor and alert on performance issues and simplify troubleshooting from a single dashboard. "Network Monitor complete, number 1: Solarwinds has a wide and detailed configuration, to perform a high-level monitoring, all kinds of networks, ethernet, ISDN, TCP, UDP and many more, has a powerful tool that detects all kinds of faults, from the deepest of the network, detecting possible future failures that may affect the full operation of the network, verify all types of digital signals emitted by the network, and convert them into graphic data, understandable to any person, creating a simple and accurate monitoring environment." 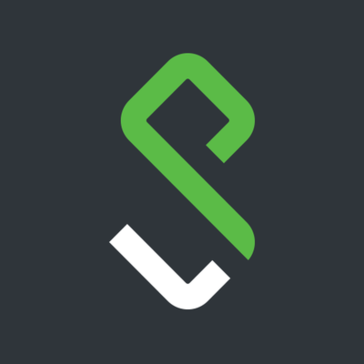 "Sumo Logic queries and alerts for better tracing of requests and production issues : I like being able to query on the logs and create dashboards based on the queries. Create alerts based on the queries and get notified via email. Integrate with OpsGenie and send alerts when we see high number of issues. Ingest load balncer S3 logs to see trends and patterns. Ability to export the results in excel sheet for sharing with others. Sharable search results. Analyze log and keep track of usage to reduce spending. Geolocate requests on load balancer and create custom dashboards to view them. Good documentation on various "
New Relic provides SaaS Application Performance Management for Ruby, PHP, .Net, Java and Python Apps. It also provides analytics for better business results, monitoring crashes, and following drop offs in user flows. "Better Solution But Slower too: I love the simplicity of install New Relic agent on each server ... It's such a really simple thing and also all the information about server's health .. throughput, response time, error rate, database connections and the possibility of identify slow queries." Datadog is a monitoring service for IT, Dev and Ops teams who write and run applications at scale, and want to turn the massive amounts of data produced by their apps, tools and services into actionable insight. "Versatile product at a great value: Datadog allows you to collect and cross-reference various metadata about your application--it's wonderful to have APM, container health monitoring, and logs in one place. Also, I spent a LOT of time with Datadog support... and I mean, A LOT, because our use case (our app is Dockerized and deployed on Aptible) is not typical. The support team was, pun intended, dogged in their persistence to help me get Datadog working for us. And it's a great value, cost-wise. " An application performance management solution that monitors every line of code to help resolve application issues, make user experience improvements, and monitor application performance. "Helps me to control in a more efficient way the apps: I like AppDynamics very much because it helps me to control in a more efficient way the apps that I am deplegating in the cloud, it offers detailed data, it has a light load of the server, it helps to find errors easily and it constantly monitors the stability and the performance of the apps." 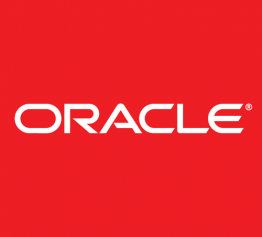 "We use it for Oracle fusion middleware family and Databases: Oracle Enterprise Manager provides a single point of control for your applications and databases. It provides out of box automation in form of monitoring templates and reporting templates. I also love the new Administrative Group introduced in 13.1 version onward. It's a single point for patch control for all your deployments being monitored through OEM. " "Used based on IT requirements, difficult install Mac OS users: Once it's configured it works well and provides automated VPN access behind the scenes. Reboots and auto-logins aren't an issue, the software handles it for you (at least on a Mac)." "Better and easy to monitor all your errors. : I found that It’s simple to install all program steps. Also, I can say that it is very fast to study and ready to the capability to everything that we need. I can get solutions quicker with logs, mistakes, and control across surroundings." Instana, the leading provider of Automatic Application Monitoring solutions for microservices, leverages automation and artificial intelligence to deliver the visibility and actionable information DevOps teams need to manage dynamic applications. "An Outstandingly Efficient tool to monitor your infrastructure !! : The GUI mode is highly user friendly with emphasis on various sectors, servers, services, endpoints, process etc almost everything & anything you can think of. You can hover over things or you can manually search & query things you need & the server pulls you out the data at a snap of your fingers. . . . . . . . . . . . . . . . . . . . . . . . . . . . . . . . . . . . . . . . . . . . . . . . . "
"Foglight Reviews: Features like Sql PI, Workload, Real time activity are nice features. Top 10 performance tree is great in analysing the time taking queries. Ability to generate the sql plan for queries online is cool. Current database size analysis to know the size requirements in advance. Real time activity screens gives an idea of what going on the database server in real time." 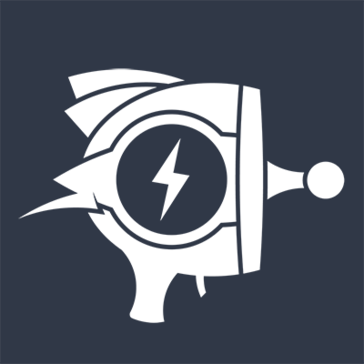 Raygun keeps a watchful eye on your web and mobile applications applications and tells you when problems arise. Add Raygun to your code in minutes for Bug Tracking and you’ll be able to detect every error in your software, the second they happen. "Great reporting solution for quicker and easier resolution: It indicates full technique name and its related class name in the mistake and is appeared inside a gathering. This gathering encourages me in settling all the comparative blunders without a moment's delay and look at the information for that specific case. It is a magnificent bug announcing device which helps in discovering bugs and mistakes in my application with complete stack follow subtleties to discover where precisely the blunder happened. It has some fabulous highlights like separating blunders utilizing variant number and date, constant notices through messages, contacting the influenced clients, and consistently gathering the mistakes to spare the time. It has visit room support too to send notices to other colleagues with respect to the issues. Its UI dashboard is really great and all highlights are accessible at a focal area." 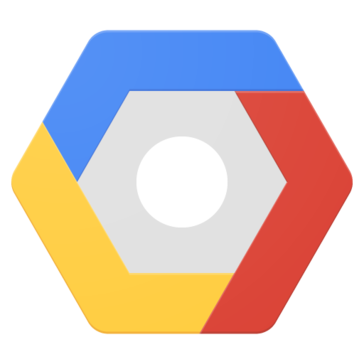 Cloud Console is an integrated Google Cloud Platform management console. "Excellent platform for learners of web development and experts who want to create fast web apps: I like the user documentation together with the platform specifics that make setting up and developing a data driven web app simple and fast. If you explore the different products on the console you can learn a lot about web technologies and generate new ideas that use them. I also especially like how to the platform is set up to automatically handle lots of traffic and the price seems reasonable." "Outstanding is the word for this site! : I think GTmetrix is an outstanding website that helps you with your page loading speeds. It not only measures your page loading speed but also gives you very constructive suggestions for improving your page speed. I have used this website so much to check and compare my website speed before and after changes and with other websites of my choice . The website offers this service free of charge . You can try as many times as possible. The only thing is when you try very often, it comes with a message that servers are busy and it would take 10 or 15 seconds to evaluate which is understandable since there are thousands of users checking at the same time and it is a free service . In premium segment it helps with users on priority basis. " Operations Bridge monitors your IT environment and consolidates data from 200+ 3rd party tools. It applies automated discovery, monitoring, analytics, and remediation to data across traditional, private, public, and multi-cloud and container-based infrastructure. 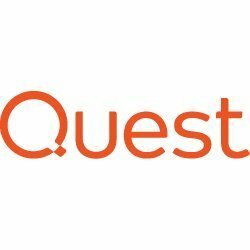 "Micro Focus Operations Bridge provides automated solution using machine leaning & analytics: By using machine learning and analytics it provides faster resolution by reducing critical events and also helps to find out the root cause behind it and gives the solution for it, which i like the best about." "Una herramienta alucinante: Lo mejor que me gusta de este producto es que proporciona una solución completa para monitorear y analizar datos. Librato ofrece varios servicios que ayudan a comprender los datos y ofrece visualizaciones maravillosas. Además, proporciona servicios que pueden proporcionar notificaciones de alertas de actividad en diversas métricas cuando se realizan el procesamiento." "The complete web performance package. : WPM gives us great insight into the availability and performance of our websites ensuring high customer satisfaction. With the detailed statistics and history records, it helps you see why problems arose and how best to combat them. The built in alerting brings issues to our attention and helps us rectify them before the customer even realises there was a problem." Application Monitoring that finds what you can't see in charts. 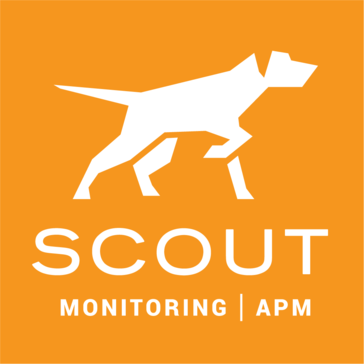 Scout continually tracks down N+1 database queries, sources of memory bloat, performance abnormalities, and more. Get back to coding with Scout. "Makes problems easy to identify and troubleshoot: Scout automatically tracks web requests, but any sort of background transaction too without having to manually instrument or think to add tracking. When setting up a new message consumer, it was easy to identify what was taking the longest in both the common and edge cases. Profiled sample tracebacks made it straightforward to look into what specifically was making the consumer slow sometimes Their interface is intuitive and easy to figure out, more so than NewRelic, which I have also used.."
New Relic Browser provides deep visibility and insight into how users are interacting with any application or website. 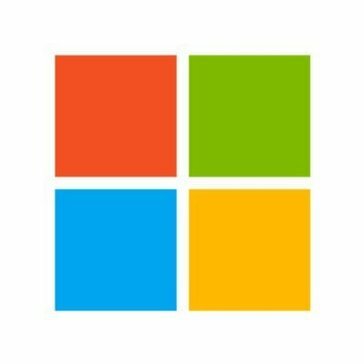 "Powerful application monitoring: This is an excellent tool from Microsoft that ties in nicely if you are already using their web app eco system. You can get depth of information, including live monitoring of the app performance, but also custom performance queries and historical data. Its a new tool for us, coming from New Relic, but it looks promising." Hi there! Would you like help finding solutions similar to Solarwinds Database Performance Analyzer?